Midtown workers may want to save room for lunch tomorrow. A lot of room. 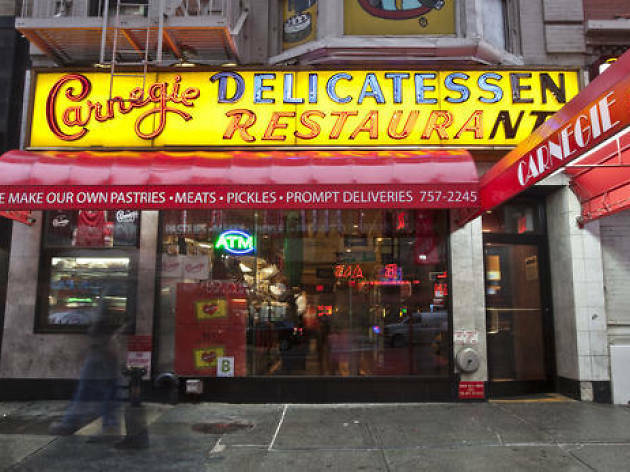 Meat lover’s paradise Carnegie Deli has announced that it plans to finally reopen Tuesday morning after a 10-month closure. 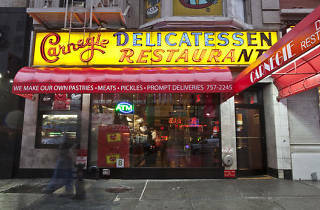 "Carnegie Deli will reopen tomorrow, February 9th!" the restaurant posted on its website today. "We look forward to serving our local patrons our gargantuan sandwiches and creamy cheesecake once again. We hope to see you soon!" The 79-year-old restaurant had announced that it would be opening in 2016 last week. Following tomorrow's soft opening, a Grand Opening celebration is scheduled for sometime next week. Ironically, I got gas the last time I ate there. In the meantime, we've all been eating the real best sandwiches in NYC at Katz's.